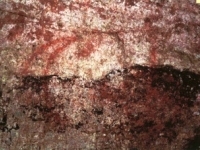 The following references are overviews of Native American rock art in the Eastern United States, but some are also continental in their coverage. Annotations follow each reference. Wellmann's work is probably the single best place to begin a study of rock art in the Eastern Woodlands. The illustrations are seldom matched even by today's standards, and the range of site coverage is astounding. The bibliography is a wonderful guide to the literature, particularly on the earliest accounts. Wellmann's keen observation and depth of perception will stimulate thought for time to come. Unfortunately, this monumental work is a rare book, and can be somewhat difficult to obtain. However, you still may be able to get a copy through inter-library loan. Cave Archaeology of the Eastern Woodlands: Essays in Honor of Patty Jo Watson Edited by David H, Dye, 278 pages, University of Tennessee Press, Knoxville, 2008. This volume explores how prehistoric and historic peoples utilized caves as a means to further their economic growth and represent cultural values within their societies. The 14 articles range in topic from early gypsum mining to rare American Indian cave art, from historic saltpeter extraction to current archaeobotanical and paleofecal research. The contributors in this volume contend that studies of deep zone caves yield multiple insights into values, beliefs, and cultural lifeways of ancient and historic peoples. 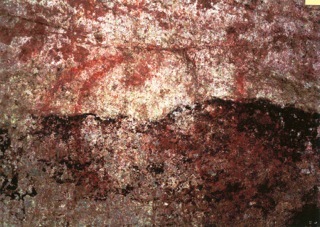 Native American Rock Art in the Eastern United States Swauger, James L. 1992. Native American Rock Art in the Eastern United States. Pennsylvania Archaeologist, 62(1):79-81. For the eastern United States, Swauger's overview is contemporary and thorough. His summary reviews the history of research and provides an extensive bibliography. Pictographs of North American Indians Mallery, Garrick. 1886. A Preliminary Paper, In The Fourth Annual Report of the Bureau of Ethnology, 1882-'83, pp. 13-254, edited by J. W. Powell, Government Printing Office, Washington, D.C. This early study is fascinating in its presentation of "thick description." Mallery provides excellent commentary and analogy with other media that exhibit pictorial content. Many of his interpretations are still relevant to current theoretical discussion. In addition, you will find information about rock art sites that were not repeated in his later report, Picture-writing of the American Indians. Picture-writing of the American Indians – Volume 1 Mallery, Garrick. 1972. Dover Publications, Inc., New York. First published in 1893, "Picture-Writing of the American Indians," Tenth Annual Report of the Bureau of Ethnology to the Secretary of the Smithsonian Institution, 1888-'89, by J. W. Powell, Government Printing Office, Washington, D. C. Vol. 1 of 2 ISBN: 0-486-22842-6 These volumes (Vol. 1 and 2) are a standard reference set to scholars interested in rock of eastern North America and beyond. They also contain a wealth of ethnographic information on the significance of art. The organization of the text makes it easy to locate areas by state. It is well worth your review. Picture-writing of the American Indians – Volume 2 Mallery, Garrick. 1972. Dover Publications, Inc., New York. First published in 1893, "Picture-Writing of the American Indians," Tenth Annual Report of the Bureau of Ethnology to the Secretary of the Smithsonian Institution, 1888-'89, by J. W. Powell, Government Printing Office, Washington, D. C. Vol. 2 of 2 ISBN: 0-486-22843-6 These volumes (Vol. 1 and 2) are a standard reference set to scholars interested in rock of eastern North America and beyond. They also contain a wealth of ethnographic information on the significance of art. The organization of the text makes it easy to locate areas by state. It is well worth your review. This book remains a true classic in the study of prehistoric rock art in the eastern United States, and so this facsimile of the original 1967 printing retains an important role in the literature. Grant's work is a great place to start and to return. This book can be found in almost any library. Copies also may be ordered directly from the publisher: Box 29D/Blue River Rt., Dillon, CO 80435. 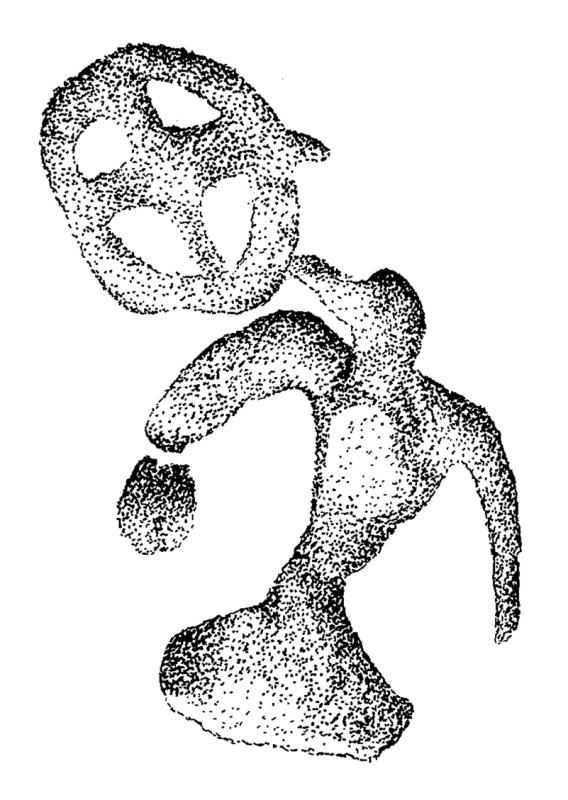 Rock Art of the Eastern Woodlands Faulkner, Charles H., editor. 1996. American Rock Art Research Association Occasional Paper, No. 2, San Miguel, California. 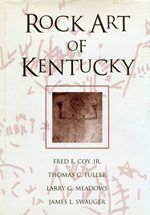 This edited volume presents the proceedings from the first ESRARA Conference held at Natural Bridge State Park, Kentucky, April 10, 1993. The volume offers contemporary perspectives from 12 scholars working in the Eastern U.S. This timely volume is relatively inexpensive and easily obtained by writing the Deer Valley Rock Art Center, P. O. Box 41998, Phoenix AZ 85080-1998. 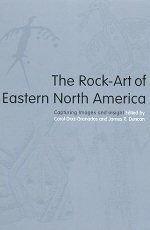 The Rock-Art of Eastern North America Edited by Carol Diaz-Granados and James R. Duncan, with contributions from Daniel Arsenault, Mary R. McCorvie, Johannes H.N. Loubser, James R. Duncan, Carol Diaz-Granados, Richard Edging, Jan F. Simek, Steven R. Ahler, Mark J. Wagner, Fred E. Coy Jr, etc. This book brings together 20 papers from recent research at sites in eastern North America, where humidity and the actions of weather, including acid rain, can be very damaging over time. Contributors to this volume range from professional archaeologists and art historians to avocational archaeologists, including a surgeon, a lawyer, two photographers, and an aerospace engineer. They present information, drawings, and photographs of sites ranging from the Seven Sacred Stones in Iowa to the Bald Friar Petroglyphs of Maryland and from the Lincoln Rise Site in Tennessee to the Nisula Site in Quebec. Discussions of the significance of artist gender, the relationship of rock-art to mortuary caves, and the suggestive link to the peopling of the continent are particularly notable contributions. 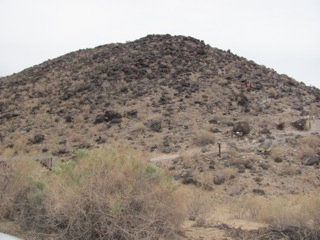 Discussions include the history, ethnography, recording methods, dating, and analysis of the subject sites and integrate these with the known archaeological data. The following books will be useful to anyone seeking more detailed information about rock art within a particular geographic area of the Eastern United States. Although not a complete list, the following books are either in print or are relatively easy to obtain. Alabama's Aboriginal Rock Art Henson, Bart and John Martz. 1979. Alabama's Aboriginal Rock Art. Alabama Historical Commission, Montgomery. This book provides short desriptions, photographs, and sketches of 18 sites in northern Alabama and interprets their age, cultural affiliation, and possible significance. Most of the art is found in proximity to the Tennessee River valley. Many of the motifs are characteristic of the Southeastern Ceremonial Complex (circa AD 1000-1300). 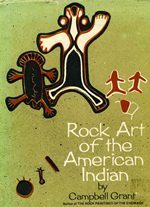 This classic study is essential to anyone interested in southeastern Native American rock art. Copies available from University of Alabama Museums, Moundville Archaeological Park (Gift Shop), 13075 Moundville Archaeological Park, AL 35474. Deep Cave Rock Art in the Upper Mississippi River Valley By Robert F. Bozhardt, 94 pages, Prairie Smoke Press, St. Paul, Minnesota, 2003. The beautiful river valleys and bluffs of Southwestern Wisconsin have been home to various cultures for millennia, some of whom have left their marks in the caves and rock shelters that line this vast unglaciated drainage. Deep Cave Rock Art in the Upper Mississippi Valley is the story of the discovery, protection, and recording of two of these ancient rock art sites which form the largest concentration of petroglyphs and pictographs in the region. Boszhardt's work is an important chapter in the state's continuing effort to promote and protect the collective cultural history of all of her peoples. This fully-illustrated book makes available to both the professional archaeologist and the general public all of the current research being done in these caves, treating the reader to a compelling mystery whose solution involves archaeology as well as Native American traditional knowledge. 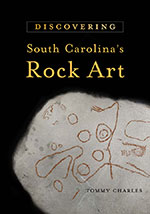 Discovering South Carolina’s Rock Art By Tommy Charles, 168 pages, University of South Carolina Press, Columbia, 2010. For years Tommy Charles searched South Carolina's upcountry for examples of ancient rock art carvings and paintings, efforts conducted on behalf of the South Carolina Institute of Archaeology and Anthropology (SCIAA). Rock art was believed to be almost nonexistent in South Carolina until the 1980s, when several randomly discovered petroglyphs were reported in the upstate. These discoveries set in motion the first organized endeavor to identify and document these ancient examples of human expression in South Carolina. 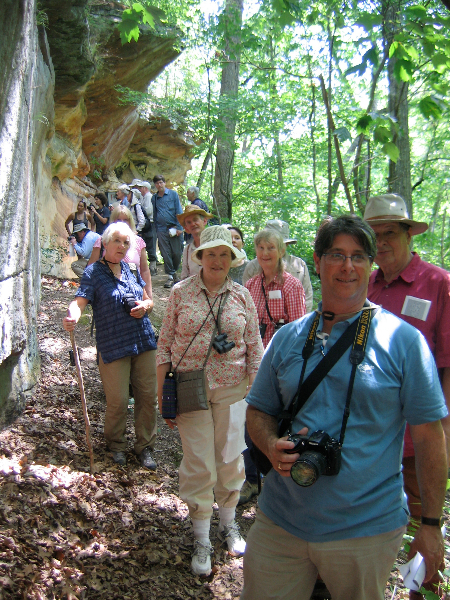 Over the ensuing years, and assisted by a host of volunteers and avocational collectors, Charles has scoured the Piedmont and mountains of South Carolina in search of additional rock art. These survey efforts have led to the discovery of rock art created by Native Americans and Europeans. This engrossing account of the search for South Carolina's rock art brings awareness to the precarious state of these artifacts, threatened not only by natural attrition but also by human activities. 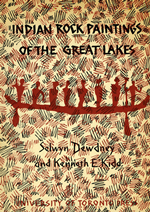 Indian Rock Paintings of the Great Lakes By Selwyn Dewdney and Kenneth E. Kidd, 127 pages, University of Toronto Press, Toronto, 1962. This book describes in word and illustration the results of an exciting quest by the authors to discover and record the Indian rock paintings of Northern Ontario and Minnesota. Numerous drawings were made from pictographs at over 100 sites. Selwyn Dewdney traveled many thousands of miles by canoe to make the drawings of the pictographs which illustrate this book. 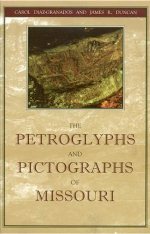 Kenneth E. Kidd contributes a valuable essay on the anthropological background of the area, linking the production of these images with those found in other parts of the world and commenting on what the pictographs reveal of their maker’s attitudes to their external world and way of thinking. This book has long been our of print but can be obtained through interlibrary loan. Used copies also are periodically advertised on the internet. 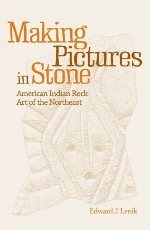 Making Pictures in Stone: American Indian Rock Art of the Northeast By Edward J. Lenik, 251 pages, University of Alabama Press, Tuscaloosa, 2009. A long-term problem in eastern North American rock art studies has been a lack of detailed regional studies that provide basic information regarding the types, number , and styles of rock art sites found in different parts of the eastern United States. 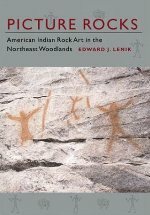 This book, which is a companion volume to an earlier 2002 study by the same author on the rock art of the Northeast Woodlands (see above), fills a much-needed information gap regarding various aspects of the rock art of the northeastern United States. 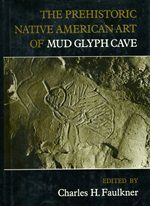 The 12 chapters in the volume represent a series of related essays on various aspects on the rock art of the region including the eighteenth century rock art studies of Yale professor Ezra White; historic accounts of Native American dendroglyphs or tree carvings within the same region; non-portable rock art sites; the types of designs found on Native American-made inscribed pendants, gorgets, and other portable objects recovered from archaeological sites; and stone effigies of human-like figures and animals. 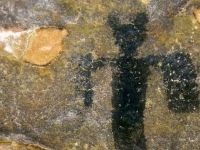 The author also uses historical data relating to the religious beliefs and daily lives of the Native peoples who once lived within the region in the seventeenth and eighteenth centuries to examine a series of possible factors that may have resulted in the creation of rock art images on the landscape including shamanism, vision quests, hunting, and warfare. This provides a very complete description of 60 sites, 34 of which are Native American (circa AD 900 -1650). Another six are natural curiosities or of uncertain origin. In addition, the monograph will also appeal to historical interests in both the production of folk art and the rendering of pitch and lye by early American settlers. Book format consists of brief site reports, complete with 44 maps and 103 figures (59 photographs, 44 drawings). Reports are followed by summary data, discussion, and a comprehensive bibliography. The book is essential to anyone with an avid interest in the antiquities of Ohio. 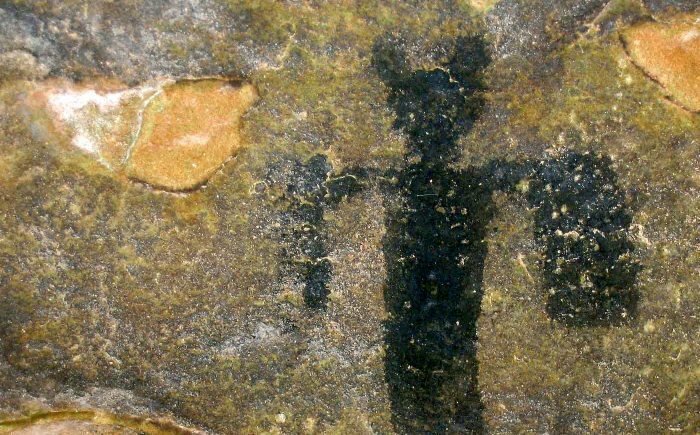 A millennia ago, Native Americans entered the dark recesses of a cave in eastern Missouri and painted an astonishing array of human, animal, and supernatural creatures on its walls. Known as Picture Cave, it was a hallowed site for sacred rituals and rites of passage, for explaining the multi-layered cosmos, for vision quests, for communing with spirits in the "other world," and for burying the dead. The number, variety, and complexity of images make Picture Cave one of the most significant prehistoric sites in North America, similar in importance to Cahokia and Chaco Canyon. Indeed, scholars will be able to use it to reconstruct much of the Native American symbolism of the early Western Mississippian world. Picture Rocks: American Indian Rock Art in the Northeastern Woodlands By Edward J. Lenik, 280 pages, University Press of New England, Hanover, 2002. Located along rivers, at the edges of lakes, on mountain boulders, in rock shelters, on rock ledges where the continent meets the ocean, and tucked into parks and public places, American Indian rock art offers tantalizing glimpses of the signs and symbols of a Native American culture. This volume documents all known permanent petroglyph and pictograph sites from the Canadian provinces of Nova Scotia and New Brunswick, the six New England states, New York, and New Jersey. Some sites are subject to disputes over their origins—Indian or Portuguese? Some are ancient, and others, such as the work of the Mi’kmaq, were executed in the past 200 years. Many of these sites are little known; others, like those at Bellows Falls, Vermont, are sources of great local pride and appear on city walking tours. Interspersing his own interpretations with comments from scholars and Native American storytellers, Edward J. Lenik provides a definitive look at an extraordinary art form. Two hundred illustrations include historic sketches by early Euro-American colonists, nineteenth-century photographs, and recent photographs and drawings of the current conditions of many sites. 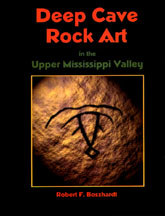 Rock Art in Arkansas Edited by George Sabo III and Deborah Sabo, with contributions by Michelle Berg Vogel and Jerry E. Hilliard, 146 pages, Arkansas Archaeological Survey Popular Series 5, 2005. This study provides an overview of current knowledge about Arkansas rock art, incorporating the findings of ongoing research in a presentation suitable for general readers as well as specialists. The 146-page book has 70 illustrations (most in color), glossary, index, and bibliography. Chapters cover the place of rock art research within archeology, the history of rock art research in Arkansas, descriptive terminology, dating, diversity of site types and imagery, interpretation of rock art sites as part of a cultural landscape, and preservation concerns. Separate chapters are devoted to two of Arkansas’s most important rock art sites, The Narrows and Rockhouse Cave, with an updated assessment of the first rock art style defined within Arkansas, the Petit Jean Painted style. 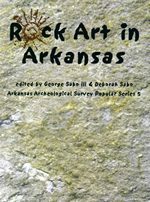 This book summarizes the foundation for new studies that relate Arkansas rock art to the religious and mythological iconography of the Southeastern Ceremonial Complex. Arkansas has one of the highest concentrations of well-preserved prehistoric and early historic rock art, both pictographs and petroglyphs, in the American Southeast.This book is the first comprehensive treatment of this important cultural resource. To order, please email archpubs@uark.edu or telephone 479-575-2161. This is the first comprehensive documentation of Native American rock art in the state. The book features brief site reports of 70 sites, complete with 173 illustrations, summary data, and discussion. Rock art sites found in 22 of Kentucky's 120 counties. These sites span a period of more than three thousand years. 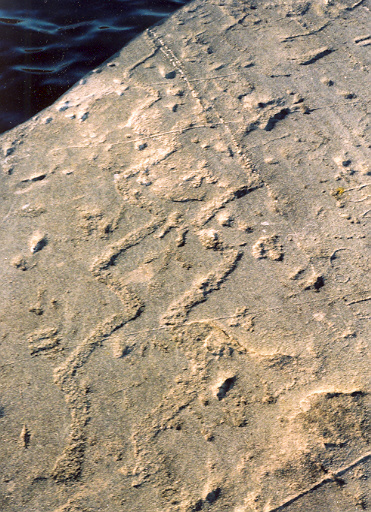 Common designs include bird and mammal tracks, as well as human footprints. Less common are human figures, quadrupeds, reptiles, fish, insects, and geometric designs. The book will appeal to anyone interested in prehistoric rock art of the eastern United States. The Archaeology and Rock Art of the Piney Creek Ravine By Mark J. Wagner with photographs by Charles A. Swedlund, 124 pages, Illinois Transportation Archaeological Research Report No. 12, 2002. 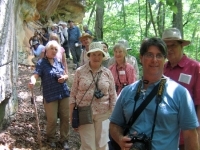 The 111-acre Piney Creek Ravine Nature Preserve in southwestern Illinois contains the highest frequency of prehistoric rock-art sites per acre of any area Illinois. Southern Illinois University archaeologists systematically recorded the rock art designs at the largest of these sites—the Piney Creek—site revealing that it contained both pictographs and petroglyphs believed to have been created during the Late Woodland (AD 450-1000) and Mississippian (AD 1000-1500) periods. The prevalence of winged anthropomorphic and zoomorphic figures, and the presence of horned/eared anthropomorphs—one of which holds three spears in its outstretched arms, suggests some of the designs were created as part of shamanistic ceremonies. 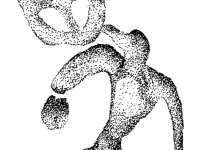 The report describes in detail all of the rock art images recorded within the ravine and interprets them within the regional context of the prehistoric rock art tradition of southern Illinois. 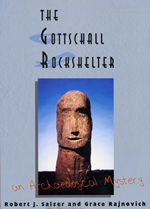 The Gottschall Rock Shelter By Robert J. Salzer and Grace Rajinovich, 114 pages, Prairie Smoke Press, St. Paul, Minnesota, 2001. Hidden in a small valley in southwestern Wisconsin, the Gottschall Rockshelter is a unique example of an archaeological mystery. Here the ancestors of the present-day Ho-Chunk (Winnebago) American Indians created a remarkable series of pictographic paintings of the legend of Red Horn, a reincarnation of a primordial deity. Adapting a natural rock formation for use as a possible shrine, these skilled artists of about 900--1,000 A.D. left a visual representation that continues to testify to their deeply held spiritual beliefs. The sensational discovery of a sandstone sculpture of a human head adds to the shelter's archaeological richness. The Gottschall Rockshelter is the first full-length study of the ongoing investigation of a spectacular North American site and its ancient cultural records. This comprehensive guide documents the rich array of Native American rock art in Missouri. Discussion draws on archaeology and ethnography to interpret the age and cultural significance of the art. Of particular interest is a thoughtful analysis of motifs from Mississippi River Valley sites and their relationship to Cahokia. The authors establish a model for understanding prehistoric ritual activities and population movement in the Southeast. 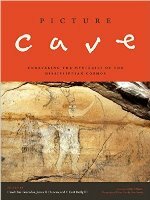 This copiously illustrated volume chronicles the the study of the first cave art discovered in the eastern United States. Charcoal samples suggest that the cave was entered as early as AD 500, but the most intensive visits were occurred some 800 years ago. 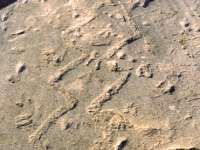 Archaeologists believe the mud glyphs were drawn by the ancestors of the Cherokee or Creek. The contributors analyze the mud glyphs and compare the site with the prehistoric use of other caves and rock art sites in the Southeast. This book is of great interest to scientists, cavers, and artists alike. This entire volume of the Wisconsin Archaeologist is devoted to rock art research. Eight contributors discuss the location, age, cultural affiliation, and function of rock art sites in the state.